[Images: Helicopter views of low-income housing in Ixtapaluca, Mexico City; via Archinect's resident reggaetonian, Javier Arbona]. Are those actually real buildings? They definitely don't look real. Can you imagine how not-real these would look if a tilt shift lens had been used? crazy pixelated densities! reminds me of eboy. 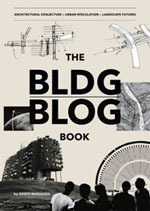 A little off topic, but in my view BLDGBLOG is the best thing on the internet at this point in time. I could spend hours looking through all the incredible stuff you present. Hi, just wanted to let you know that after I looked at those great photos I decided to see if I could find the locations in Google Earth. Well, I've found half of them so far. You can download the Google Earth data file from my (website) if you want to see where some of those cool places are located, or you can try to find the rest yourself. That was a really great find, thanks. Skye, nice hunting. Unbelievable that you found those, actually. I do have to say, though, that the dead-on overhead aerial view misses some of the fractal weirdness of the facades and their cross-resemblances to the other houses that look exactly like those other self-cross-resembling fractal houses... None of which takes away from the map you got going. My own experience of Google Earth/TerraServer is I get hung-up following rivers for so long that I now just will-power myself away from even starting; otherwise an hour goes by, and all I've done is track some weird riverbed from mountain to gulf. Oxbow lakes. Meanders. Confluences. Then suddenly you're 90 and your teeth are falling out and it's like whu-? What the hell was I doing for the last 60-odd years...? Tracing rivers. On a computer. Anyway, 9000 flowers, thanks! Glad you like the blog. Feel free to click around to your heart's content through the posts listed on the right over there --->, the newer stuff isn't always the best. But thanks again - I'm flattered. Don't forget the other blogs, however, some of which kick my rear in almost every conceivable category. 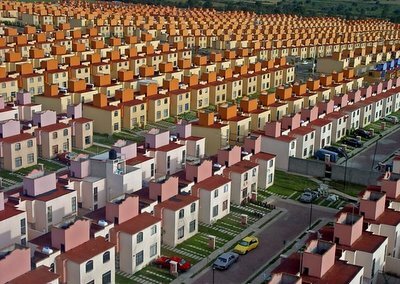 And British terrace housing does indeed resemble the abyss of non-differentiation represented by these houses in Ixtapaluca... If less colorful, perhaps. In 100 years, what will this neighborhood look like? Some trees? 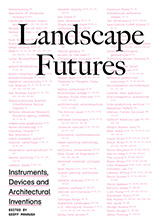 Some gardens? New paint? Or razed to the ground and replaced? 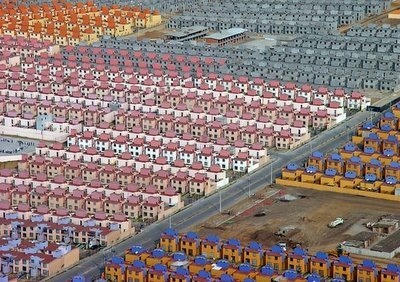 And why is it assumed that the poor want to live in identical houses? They don't want to live there, but mass production is what economy is all about. 500 of these things probably cost what 300 of the same sized, different dwellings would. Maintenance economies are even steeper. The idea being that if it ain't broke, don't fix it. What's wrong with fixating upon and replicating ad nauseum a design formula or template (in this case terraced housing) if it SEEMS to satisfy the poor and rich alike? Modular templates, with 8-9 interchangeable parts. Slight variations and differences. 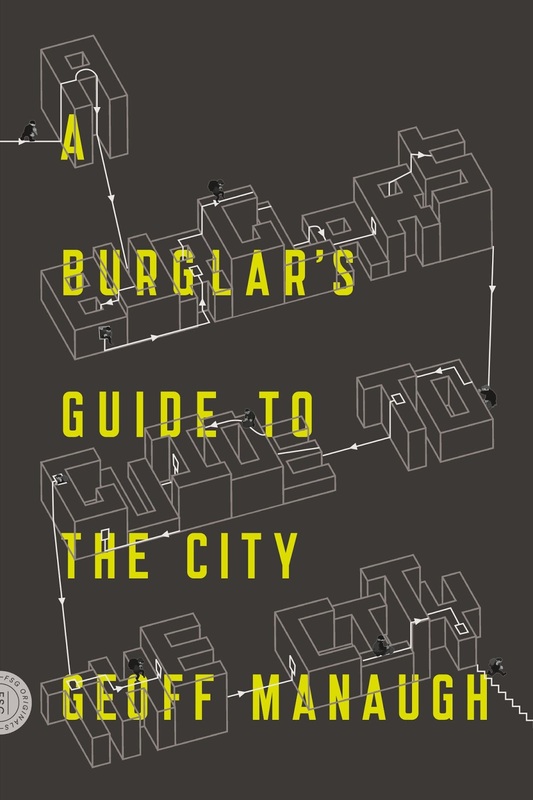 Half the fun of living there would be to figure out how each house differs from the one beside it, a constant and ongoing intellectual puzzle. Like living inside Bach's Art of Fugue.